Raise your little child to look stylish by letting him wear this shirt with t-shirt presented to you by 612 League. 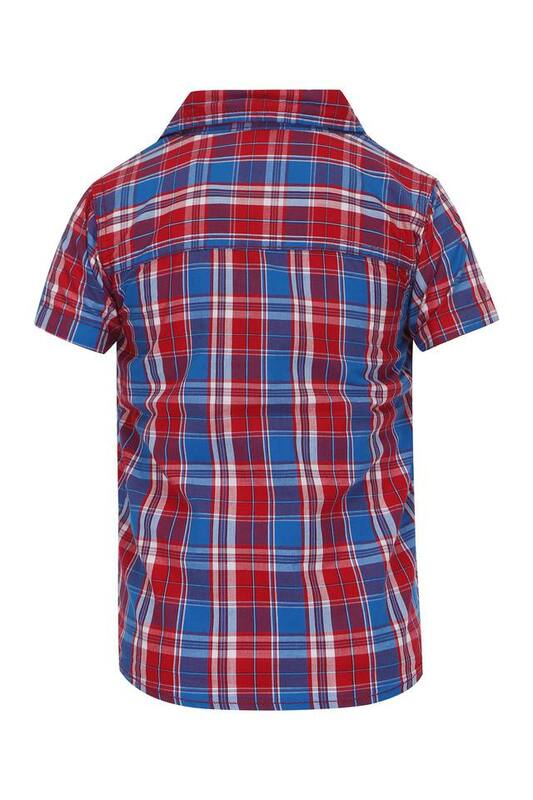 The shirt comes with a checked pattern and collar along with half sleeves, while the t-shirt features printed pattern and round neck which is very classy. 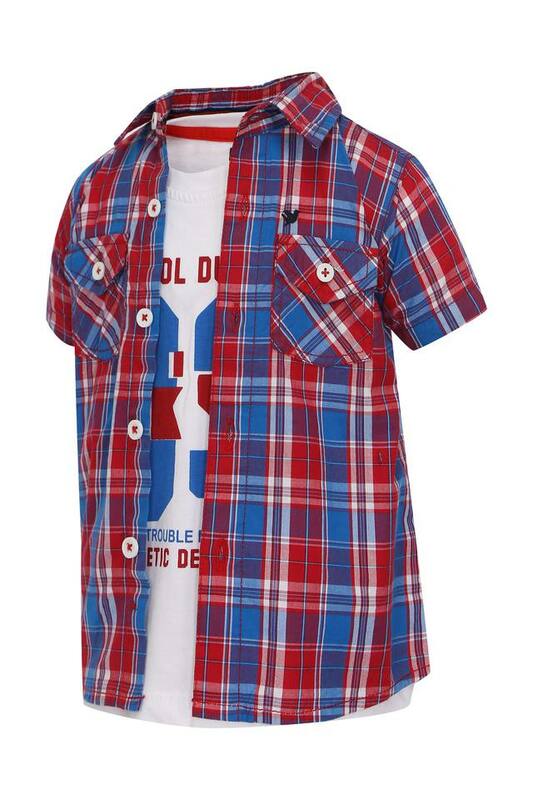 Besides, it is made of good quality fabric which is more comfortable. 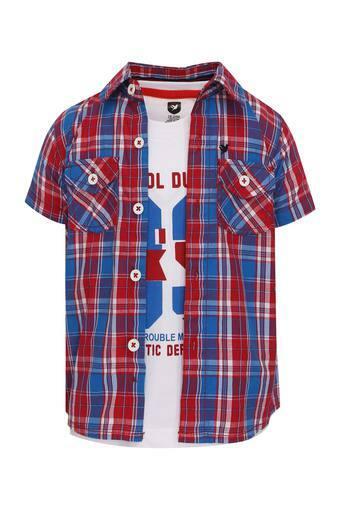 Cool and trendy, this shirt with a t-shirt is perfect for your little master's picnics and other casual outings. He can team them with a pair of shoes to complete their casual look.